Family traditions mean a great deal to our family, especially to our youngest son. One of our favorite family traditions is Christmas. For the past several years Christmas has included my wife (Roberta) and I, my oldest son (AJ) and his wife (Eleanor), our youngest son (Mark) and his girlfriend (Bethany). On Christmas Eve we go to church, come home and have a feast of fatty finger foods and watch a Christmas movie (The Muppets’ Christmas Carol is a favorite). We often open one gift that night. On Christmas Day we spend almost half the day opening gifts since we take turns opening them one at a time to share the enjoyment of each gift for each person. This is followed by a great breakfast prepared by my wife. But this year was different. My oldest son and daughter-in-law had our first grandchild and moved (from California to Missouri) so that my son could finish grad school. So they were not with us but they were able to travel to Texas to spend Christmas with Eleanor’s parents. We invited my mother-in-law (who lives in Pennsylvania) to spend the holidays with us. After being here just one day she had a serious fall and has been in the intensive care unit of the local hospital the last 12 days. She was unconscious for four days but is doing much better now and is scheduled to be moved out of intensive care this weekend. So while some things were the same, it was not the Christmas tradition we were used to and even some of the changes did not take place as we had planned. It was still very enjoyable—just different. And more changes are on the horizon. It is likely that by Christmas next year our youngest son and his girlfriend will be married. Our oldest son and his wife will still be in Missouri. We’re not sure what Christmas next year will look like. Great family traditions are just a taste of those “pleasures forever.” Looking forward to those unending pleasures is reason for hope even in the midst of unplanned changes in this world. Working on our family Christmas letter has reminded me that another year has passed. There were some big changes (our son and daughter-in-law moving out of the area), some great blessings (the birth of our first granddaughter), and some difficult challenges (financial issues). As these years pass, our own personal frailty becomes an undeniable reality. Our “outer man” is undergoing the decay we inherited as sons and daughters of Adam and Eve. However, it is not a cause for despair for there is hope for renewal even in the midst of this decay. Paul says that you think rightly about yourself when you recognize that you can still experience renewal day by day where it really counts—in the inner man. While outwardly you are wearing out, inwardly you can experience newness of vitality, fresh strength and rejuvenated courage and joy. Picture your life as a garden surrounded by a stone wall. The wall around the garden is in disrepair, the paint is pealing, stones are cracked, and chunks of rock are falling off. But inside, there is lushness and fragrance and beauty everywhere. One day, the builder will come again and the garden wall will be immortally restored. In the world you take a pounding physically, financially, relationally. Perhaps you feel that sense of being pounded right now. Paul describes these things in your life as “light and momentary troubles,” though he, himself, suffered great adversity and afflictions. You think rightly about your circumstances when you recognize that in the Christian life there is no such thing as pointless suffering (notice the word “producing” or “achieving” in this verse). God always has a purpose. You also think rightly about your circumstances when you realize that what is coming is “far beyond all comparison” to what you are experiencing now. We have a Jesus-prepared place that will last forever. Paul says you need to focus on the unseen. He is not speaking about your physical eyes but about your mindset, your perspective, the way you “see” things. Your thinking needs to be centered, not on what is going wrong from your point of view, but on Christ and the promises. This is where your hope is found. This eternal perspective is not merely a mind game. Thinking about what is eternal will drive you to be concerned about the things that concern God; his heart can become your heart. Every day you are faced with a choice where you will focus your mind—the inner person or the outer person? Will you be driven by present trouble or by coming glory? Will your concentration be on the temporal or the eternal? What you think makes all the difference. Right perspective is the road to renewal in the midst of decay. Today we had the opportunity to SKYPE—to see and talk with our son and daughter-in-law and to see and hear our granddaughter. Our son and daughter-in-law lived about an hour away from us until recently, which was great. They spent every Christmas with us which also was a great blessing for us (I trust it was for them too). However, all of this changed over this past summer. My son had been planning to attend grad school for a number of years. He enrolled in the program at the University of Missouri in Kansas City to study music composition. They moved in July. Previous to this move, on January 12 at 12:01 am, our first grandchild was born. Her name was Camille Geneva and she was also about an hour away (with our son and daughter-in-law, of course). We got to see her fairly often, especially my wife. This was another great blessing. However, when my son and daughter-in-law moved to Kansas City they took our granddaughter with them (how could they?). Now she is a plane ride away and our visits with her so far have been limited to SKYPING. Don’t get me wrong—we are happy that our son got the chance to go to grad school. It is encouraging to see him moving on in his life. The family seems to be fitting in nicely in Kansas City. We had hoped to be at least semi-frequent visitors but our financial situation does not allow that at the present time. So we are limited to SKYPING. This has been a bitter-sweet practice for us. It is great to talk to our son and daughter-in-law and to actually see them while we are talking. It is great to see Camille and all the little things she is doing that she did not do before. And the kids are good about keeping us updated with pictures and videos. But it hit me today that to Camille we are just strangers on the computer screen. As difficult as it is to admit, it is true. We would like to think that it really is something more but, when it comes to SKYPING that is the reality. That is the bitterness. Of course, there is a much deeper tie that even the strangeness of the SKYPING situation cannot undo. Camille is part of our physical and spiritual heritage. No distance or absence can ever change that and, in a significant and spiritual way, we will always be a part of who she is. We love her with an undying love and were praying for her even before she was born. We trust that the Lord will guard her and guide her and that she will grow up living a God-glorifying life. So, for now, we enjoy the sweetness that SKYPING brings and trust the Lord for the rest. 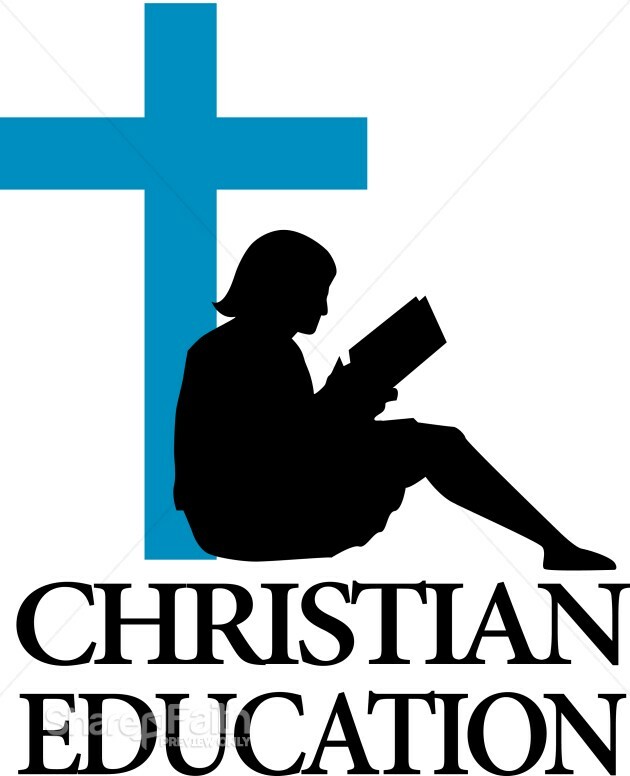 As the Vice-President for Academic Affairs at a Christian college I have many opportunities to think about and to work on Christian education. In my time in this position, my definition of Christian education has been tweaked and massaged because there is always much to say and trying to narrow down the definition to something manageable can be a challenge. Recognizing the challenge, here is my latest update: Christian education is the development of a robust Christian world and life view in the context of a soul-enriching community. Let me try to unpack that for you. A robust Christian world and life view: The heart of Christian higher education begins where all of life begins—the call to glorify and enjoy God. In Christian higher education we have the privilege of recognizing God’s glory, of responding to God’s glory, and of reflecting God’s glory. Since the imprint of His glory is on all that God has created (Psalm 19; Romans 1), all of creation reveals truth about Him. The statement, “All truth is God’s truth,” captures the idea that we can expect to find an intersection between the biblical worldview (Creation, Fall, Redemption, Consummation) and every arena of human endeavor. Specifically in education, the biblical world view will impact every discipline. In the context of a soul-enriching (community): Christian education is more than the mere communication of information. It is about whole-life transformation. Though this transformation is the work of the Holy Spirit, He often uses the means of people, institutions and circumstances to accomplish that transforming work. The goal is to see people flourish in all aspects of who they can be and to succeed in all that they are intentional about doing. They need an environment that is soul-enriching. (In the context of a soul-enriching) community: Christian education is education in community. Though many things can be learned individually, full-orbed education takes place in a relational environment. That community may be as small as a home-school family or as large as a university. Significant relationships of student-to-student, student-to-faculty, and student-to-staff should form the networks of that community. If I had to give a name to this kind of Christian education I might call it “Educational Discipleship.” It is the vision of a community of faith and scholarship. Sadly, many Christian institutions of higher education began with this vision but now it is merely a distant (and sometimes disdained) memory. My own view is that this is the kind of institution that holds a key to hope for the future of our young people, the church and our culture. You have heard them—the egg; the apple; water as solid, liquid and gas; the man who is son, husband and father. They are all illustrations to help us understand the Trinity. While they may contribute in small ways to aid our understanding, none of them are completely accurate. This is the case because the Trinity is unique so there is nothing in the created world which is a precise and truthful representation of God as Father, Son and Holy Spirit. Since they are not accurate, there is an inherent danger that they may actually mislead us. 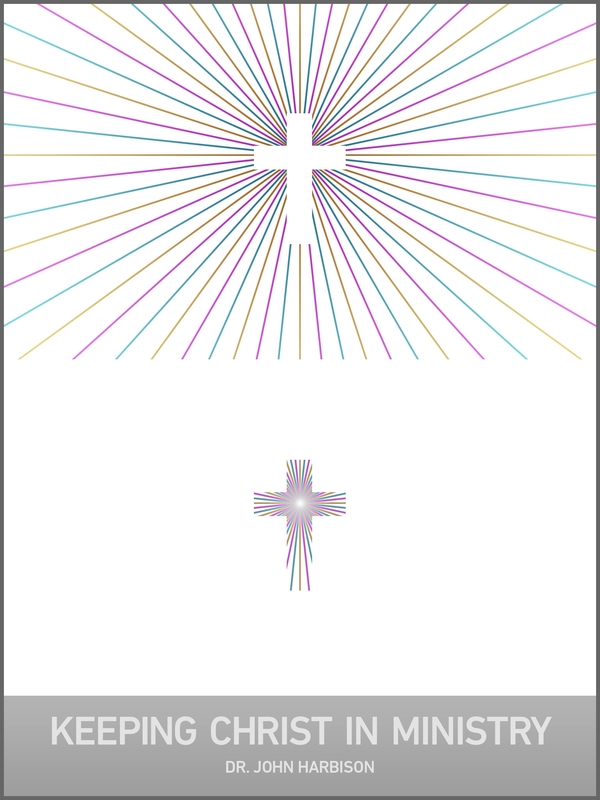 Enter The Deep Things of God: how the Trinity Changes Everything by Fred Sanders. Dr. Sanders is associate professor of theology at Biola University’s Torrey Honors Institute. I recently had the pleasure of reading this book. There are three things about the book which make it a valuable and worthwhile read. Theological Insights: Firmly placing the Trinity at the center of the gospel, Sanders unfolds the doctrine of the Trinity both in its ontology (who God is in Himself, His being) and in its economy (the works of each person in the Trinity). He demonstrates how the three persons of the Trinity are interconnected in both of these areas. Historical Examples: Sanders supplies the reader with a multitude of examples to demonstrate the importance of the doctrine of the Trinity in the evangelical tradition. He also uses these examples to highlight and clarify the truths he is presenting. He uses both familiar examples (for example, C.S. Lewis and Francis Schaeffer) and others who may be less familiar (for example, Henry Scougal and John Flavel). Practical Applications: While Sanders devotes the last two chapters specifically to application in relation to Scripture and prayer, all through the book he draws out the implications and applications of the truths he is presenting. This makes the book highly practical as well as theologically insightful. I have to admit that I have lived more intentionally conscious of God as Trinity as a result of reading the book. It may not “change everything” for you but reading it will be time well-spent. I can remember hearing these three descriptions of believers over 30 years ago in the Christian circles in which I traveled. The “Head Christians” are those believers who make theology or doctrine the totality of the Christian life. Orthodoxy, right/approved belief, is the fundamental feature of Christianity. We might call these believers the “intellectual” Christians. The “Heart Christians” are those believers who see the experience of Jesus in a personal way as the totality of the Christian life. They are concerned about passion for Christ and cultivating an abiding love for Him. We might call these believers the “relational” Christians. The “Hand Christians” are those believers who consider service for Jesus as the totality of the Christian life. They commit themselves to social justice and caring for the needs of the poor. We might call these believers the “practical” Christians. The dangerous word in each of these descriptions is the word “totality.” Each takes one aspect of Christianity and “canonizes” it as the essence or core of the Christian life. I would contend that the totality of the Christian life lies in a balanced combination of all three. The risk for the head Christian is that her Christian life can be reduced to cold rationality. This person needs to remember that the Scriptures speak often of God’s love for us and our love for God, of Jesus’ love for us and of our love for Jesus. It is a mistake to subsume the love of Christ into a doctrine without experiencing that love herself. Out of her doctrine and relationship with Christ comes the desire to serve. The risk for the heart Christian is that his Christian life can become all emotion and affection without substance. The reality is that every Christian has a theology the only real question is whether it is a good or bad theology. Even the statement, “I don’t care about theology, I just believe in Jesus” is a highly theological one. What does the Bible mean by “believe”—affirmation of facts, heart commitment, submission of the will? The answer is a theological one. Who does the Bible say Jesus is? The answer is a theological one. The heart Christian needs to know theology because it gives direction to his personal experience of Jesus. Out of his relationship and doctrine with Christ can grow service for others. The risk for the hand Christian is that his Christian life can become good works that are divorced from the theological substance and personal relationship which should drive those good works. This has happened in a multitude of churches which became all about service and lost doctrine and relationship. It is important for the hand Christian to be intentionally aware of the “why” behind his service and to draw strength from his doctrine and relationship in doing his good works. While no Christian may be the extreme versions described above, I believe every Christian tends to lean in one direction or another. I lean in the direction of the head Christian. In the new heavens and new earth we will have a perfect balance. In the meantime, it is part of the glory of the grind to seek the grace of God in Christ to move us toward that balance in our daily experience. Which of these three descriptions do you lean toward? The past few weeks have been difficult ones for me. There were out-of-my-comfort-zone situations and conversations. There were keep-you-up-at-night kinds of decisions. To top it off, I have come down with a case of the shingles—itching and irritating as I write this post. Before this all started, I had been spending a lot of time thinking about two verses: Cast all your care upon him, for he cares for you (I Peter 5:7) and Commit your way to the Lord; Trust also in him and he will do it (Psalm 37:5). Since I had been thinking about them, it was almost as if the Lord said: These are not just nice words—let’s see if you really believe them. So I went into the Lord’s school of casting and committing. I Peter 5:7 is a sustaining verse. It reminds me that I never have to face situations alone. Jesus shares the burden of my cares so that I am not overwhelmed and he does it with my best in mind because he cares for me. As I walked into those situations, conversations and decisions, I was conscious of my own anxiety and unease. Though there was anxiety and unease, I was also aware that Jesus was with me by his Spirit and he brought to mind the promise of his Word. So I entered into these things with his assurances. Casting my care upon him does not remove the care from me. Instead, Jesus becomes a caring and sharing partner who sustains and supports me through the adversity. Psalm 37:5 is a directing verse. It reminds me that there are a lot of things which lie outside of my control but it also assures me that they are all under the Lord’s control. I can plan a way to go but I need to commit it to him so that I am going his way. Often his way is not my planned way. I had plans for next week but this case of shingles has brought about a change to those plans. So I need to commit both this present time of recuperation and the changes that will result next week because I needed this recuperation time. I have to commit my way to him, trusting that he will do what he has planned. How about you? Are there cares you need to cast upon the Lord? Are there ways that need to be committed to him recognizing they may be changed? As you answer these questions remember the promises of grace in the second part of each verse: he cares for you; trust also in him and he will do it. Dr. John H. Harbison's new eBook, Keeping Christ In Ministry, is now available from Kirkdale Press and Amazon!